A personal budget, as its name suggests, is a budget that applies to an individual. As an individual, you have an income and expenditure; and if you wish, you can arrange things in such a way that your income exceeds your expenditure and gives you a net worth. Your goal, while creating a personal budget, should be to increase your net worth as much as you can. When you create your personal budget, you must make a list of liabilities, which come in the form of mortgage, rent, food, clothing, entertainment, credit cards, bills, and so on. When you are perfectly clear about your expenditure, you can think about your income, which indicates the amount of money you earn. Your expenditure should never exceed your income; in fact, you have enough left over to save, invest, plan for retirement, and so on. 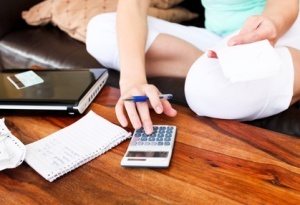 These are the basics of personal budgeting, which everyone ought to know. One of the most important facets of personal budgeting is credit card use. Learning a few simple credit card tricks will work wonders on your personal budget. Your credit card has the power to financially make you or break you, owing to which the importance of using your credit card wisely cannot be stressed further. Before purchasing anything on credit, you must first ascertain whether you really need it or just want it. If you just “want” it, the item can wait till you have saved enough to purchase it and you don’t really have to pull out your credit card. Choosing your credit card wisely is of great importance; browse through a number of credit card products and choose the ones that come with low or no annual fees and low interest rates. Visiting sites such as bankrate.com or creditcards.com will be of great help for you if you are looking for the ideal credit card. Depending on your lifestyle and expenditure, you must also check out a credit card’s reward scheme, additional services, and so on. In brief, never apply for a credit card unless you know it thoroughly and have understood how to use it to your greatest advantage. You want your credit card to be your friend, not your foe. Here is another tip. If you are paying too much in way of APR on an existing credit card, it is time to stop. Call up your credit card company and ask them to reduce the APR; you are well within your rights to do this and you don’t have to hesitate. Another great way to save on APR is to move your balance to a low-APR credit card. A number of credit card companies offer credit cards with low APRs, provided you transfer your balance. However, you need to first ensure that this is not just a limited-time offer; otherwise, you will have to transfer your funds to the old card at the end of the offer. Avoid balance transfers if the company charges for it because you will not be saving anything in this case.